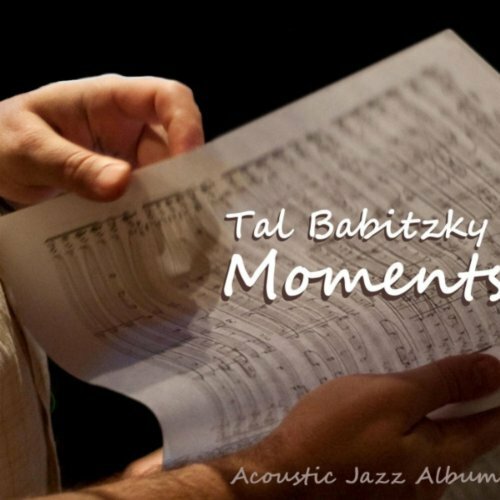 Tal Babitzky is a Jazz composer, arranger and piano player, who has composed dozens of instrumental pieces and songs. After graduating from Jerusalem's music academy, he went onto peruse his passion to become a Jazz artist. UrbanJazz Review recently caught up with him to discuss a number of issues including the release of his new LP 'Moments'. UJR: Tal Babitzky, How are you doing? UJR: This is your third Album project, is that correct? TB: Yes, this is my third. It's an acoustic album with a lot of musicians on different instruments. I've tried giving every piece a unique feel. One way is having a different instrument as the lead in each track: clarinet, flute, saxophone, harmonica, trumpet and trombone. We recorded most of the album live without rehearsal over two days. Doing it like that gives the album a genuine flavour. It feels very real and unique to me. We then added strings in a separate session for extra atmosphere and volume. UJR: How did you get started, and which artist's inspired you most when you were growing up? TB: I started with the piano at six, composition at fourteen. I first started writing jazz pieces at nineteen. The two musicians I admire most actually don't have jazz origins: Paul McCartney and Ennio Morricone. I can name plenty of jazz influences like Bill Evans, Wynton Kelly, Chick Corea, Benny Goodman, Joe Zawinul, The Yellow Jackets, Marcus Miller, Kenny Garrett and more. Of course there's a lot of Classical, Rock and R&B. I also remember old Yiddish songs my grandma used to sing to me as a child. UJR: What was it like growing up in Israel, and what is the music scene, in particular the Jazz scene like over their? TB: I was born in Vilnius, Lithuania. I came to Israel 22 years ago, at age seventeen. I found here a multitude of culture due to the melting pot of Jews from all over the world. The music here is very rich. We have beautiful music created by amazing musicians. Of course all of this is a great influence on me and others. We have plenty of excellent jazz musicians in Israel. The scene includes a few festivals and concerts in jazz clubs. There's also some jazz fans, but they tend to prefer famous names from abroad, sometimes skipping over more local artists. It's an unfortunate situation that makes it difficult for jazz musicians to evolve and thrive here. Many choose to move to Europe or New York instead, to try their luck there. UJR: Most of the tracks on the LP could be described as sensual, would you agree with this, and is it a reflection of where you are musically at the moment? TB: Music has to be emotional. It's a sensual art and meant to touch the subtle points of the soul. I like the romantic music. UJR: You have a lot of original compositions on all of your LP's, what do you think about those Jazz artists who are over reliant on covers instead of original material? TB: There are plenty of jazz players out there, but improvising and composing are two very different things. I think that those who cannot create top notch music by themselves should probably stick to covers or order pieces from composers who do how to do so. It's great to give "new life" to known pieces if the new version is interesting and novel. I see myself foremost as a composer and only secondly as a pianist. Therefore I record my own original work, but perhaps in the future I'll record new versions to some of my favourite songs. UJR: On your website it says that you've got a new project coming this year, can you give us any details? UJR: What would you say has been the most memorable period of your Career? UJR: Besides here in the UK, and off course your home Israel, where have you enjoyed your greatest success? TB: I have fans in the US, Canada, Italy and some other places as well. UJR: Which artist have you had the most fond experience of working with? TB: I love playing with my band's sax player Mark Rozen. He has a great sound and feel. I also like a lot of other Israeli musicians. Abroad, I remember a concert with George Martin, the Beatles producer in which I took part. It was an amazing experience. UJR: Finally, are there any messages you like to send out to your fans, who maybe reading this interview? TB: I wish them all health and happiness, and lots of pleasure from my new album.